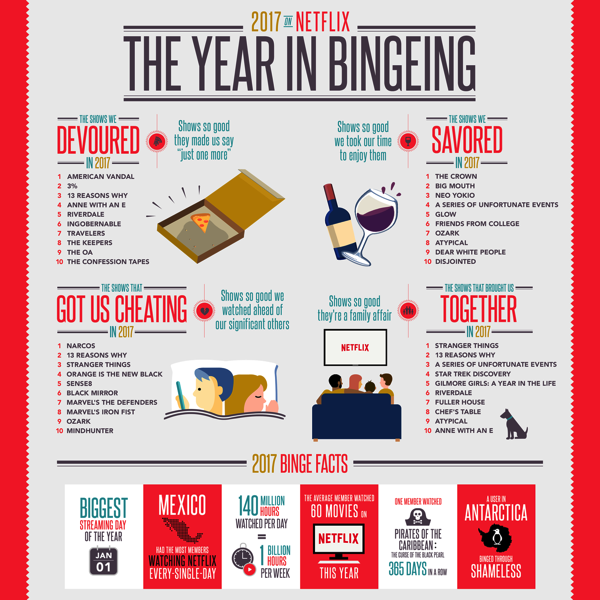 Netflix has just shared its year-in-review, spotlighting the most binged TV shows of 2017 while also revealing that Mexico, Canada, and Peru are the top bingeing streaming nations. Netflix members around the world watched more than 140 million hours per day, which is just over 1 billion hours per week. “Even Antarctica got in on the watching action, where someone binged through Shameless”, notes Netflix. Here are the lists of the most binge-watched TV shows of 2017 as put together by Netflix.